(NaturalNews) Outside the office buildings they huddle in the cold. Away from the dinner parties they’re “isolated” and some of them ashamed of themselves for still being engulfed by the habit. Like outcasts, the pariahs gather and inhale — hold — exhale 7,000 chemicals through a long white tube of paper full of tobacco and loaded with a short-term stimulant — the second most addictive kind on the planet. “Gluttons for punishment” — the non-smokers may call them. They know what they’re doing to their bodies. So where’s the sympathy for the plight, the blight, the horror of not being able to quit something you want to very badly? Where are the non-smokers who empathize? Where are the nutritionists now, to scream at them, that nutrition is the key to longevity, or at this point, has everyone just given up? Research blames income levels for a high correlation of smokers of commercial cigarettes, meaning possibly that the poor are more stressed out, visit bars more often and drink more alcohol in general. It’s true that there is a convenient store, a liquor store, a pawn shop, a bar or a tobacco shop on just about every corner in bustling urban areas. Does America feed “the fix”? You bet “they” do. Big Tobacco wants all the customers-for-life it can get, and it doesn’t care if they’re kids, teens, new parents, pregnant women or the elderly. Big Tobacco doesn’t care if you’re white or black, poor or rich. Big Tobacco certainly doesn’t care what political affiliation you have, but they do care about which cancer hospital you check into. That’s just more money to fuel their investment in you, the pariah. If you look at statistics, you will find that most cessation programs yield dismal results: under 5 percent. That may be true for the scams, because that’s the way they were designed. Think about it, if you went to gamble in Las Vegas or Atlantic City, and they didn’t let you win a little bit, you would leave and never come back. Small wins are a gambit (trade-off) for huge losses, and THAT is a given. Same goes for medications, the nicotine patch and even nicotine gum. People who use these methods usually return to smoking within six months. They can’t win for losing. So then what’s the solution? What “quitting” program yields phenomenal results and gets more than 5 percent of smokers off those dreaded cancer sticks? Electronic cigarette, or “e-cig,” vapor yields up to 60 percent success. People who switch eliminate more than 6,000 chemicals, including pesticides, insecticides, bleach and ammonia. No, e-cigs are not a cessation “program,” but they’re helping millions of smokers get off cigarettes. Sorry, Big Tobacco, you’re losing 6 out of 10 customers “of death” to the little portable hookahs, and many of those who switch end up weaning themselves off the nicotine faster and easier than ever before. Then, insert nutrition and it’s ALL OVER, just like that! Most people have never even heard the name of, much less consumed, one superfood supplement known as maca. Grown high up in the Andes Mountains of Peru, maca powder is packed with proteins, tannins and complex alkaloids. This is highly recommended when trying to quit cigarettes. Coconut oil is loaded with omega-3s, and a recent study proved that smokers are so depleted of omega-3s and overloaded with omega-6s, they don’t recover unless they supplement, but when they do supplement, they kill the cravings. Kale is far more nutritious than other leafy greens. Kale is anti-inflammatory, loaded with iron, calcium, fiber and, yes, protein! Kale contains essential omega fatty acids. Kale builds immunity to superbugs and bacteria and is a rich source of flavanoid antioxidants. You don’t have to be a “castaway” anymore. There’s a course that includes chemical knowledge, behavior modification and nutrition. It’s called 14AndOut. Stop smoking naturally in 14 days or less. The road to health freedom is paved in front of you like a yellow brick road. Follow it. (NaturalNews) A diet high in healthy fats may actually slow the aging process, including stemming off the brain degeneration associated with Alzheimer’s and Parkinson’s diseases, according to a study conducted by researchers from the Center for Healthy Aging, University of Copenhagen and the Nationals Institute of Health, and published in the journal Cell Metabolism. The study was funded by the Nordea-fonden through the Center for Healthy Aging. Because DNA damage occurs as a natural side effect of everyday environmental stresses and even the body’s own metabolic processes, the body is continually repairing minor genetic damage. Many of the effects of aging, including cognitive loss, are believed to occur when the body starts to lose the ability to repair all the damage, and little DNA errors start to build up. Such DNA damage is also believed to contribute to more specific diseases, such as Alzheimer’s. For this reason, the researchers studied mice with a defective ability to repair DNA. An identical defect in humans causes the disorder known as Cockayne syndrome. Cockayne syndrome manifests in childhood and results in premature aging and death at an average age of 10-12. The researchers found that, when the mice were placed on a high-fat diet, their symptoms of premature aging were postponed, including weight and hearing loss. The researchers believe that a high-fat diet protects the brain by boosting supplies of its reserve fuel, known as ketones. While the brain subsists primarily on glucose, in times of sugar shortage it can instead operate off of ketones — which are made in the liver from the breakdown of fats, particularly medium-chain triglycerides such as coconut or palm oil. In the current study, the researchers noted that coconut oil and other medium-chain triglycerides did indeed provide the greatest benefit. Preliminary evidence suggests that coconut oil may also be a powerful treatment for people already beginning to suffer the effects of Alzheimer’s disease. That’s because Alzheimer’s appears to interfere with the brain’s ability to process glucose, leading to starvation, cell death and worsened cognitive symptoms. Boosting the amount of ketones in the blood by eating coconut oil can therefore provide the brain with the energy it needs to prevent further cell death. Indeed, Phase I and Phase II clinical trials showed that fats derived from coconut oil cause improvement in the cognitive function of Alzheimer’s patients. Unfortunately, the company backing the research chose not to proceed with the larger, more expensive Phase III trials required to receive FDA approval. Instead, the company now sells a “medical food” product called Axona, which is nothing more than coconut fats. Because the research was halted early, mainstream medicine has yet to accept the power of coconut oil to slow or even reverse Alzheimer’s damage. The best natural sources of manganese. (NaturalNews) Manganese is a trace mineral that is present in only small amounts in our bodies. It is considered an essential nutrient and is responsible for a large number of biological roles, including proper enzyme functioning, wound healing, nutrient absorption and bone development. Manganese is also a component of the antioxidant enzyme superoxide dismutase (SOD), which helps fight cell-damaging free radicals. According to the University of Maryland Medical Center, up to 37 percent of the American population fails to meet the recommended daily intake (RDI) of manganese, which is 2.3 milligrams for adult men and 1.8 milligrams for adult women. 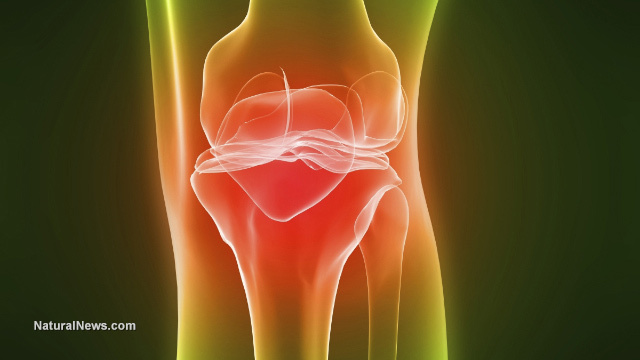 Over time, this can lead to deficiency symptoms such as joint pain, poor bone health and fertility problems. Therefore, it’s important that we eat enough foods rich in manganese to maintain our health. Seafood — Though seafood is best-known for its rich concentrations of zinc, it is also one of the world’s finest sources of manganese. In first place is mussels, which provide us with 5.8 milligrams of manganese, or 340 percent of our RDI, per 85 grams. Next on the list is clams (43 percent of our RDI per 85 grams), followed by crawfish (22 percent of our RDI per 85 grams). Regular fish such as bass, trout, pike and perch are also excellent sources of manganese, with 85 grams of each providing us with between 38 and 48 grams of our RDI. Avoid contaminated seafood by favoring sustainably farmed produce sourced from the Atlantic Ocean. Nuts — Nuts are one of the best sources of manganese for vegetarians and vegans. One 28 gram serving of hazelnuts, for instance, supplies us with 78 percent of our RDI. Pecans, macadamia nuts and walnuts also contain over 40 percent of our RDI per 28 grams. Other nuts, such as almonds, cashews and pistachios, contain fewer (but still high) concentrations of manganese. Aside from their manganese content, nuts are also a good source of omega-3 fatty acids, vitamin E, plant sterols (which are known to reduce LDL cholesterol) and L-arginine, a semi-essential amino acid that can boost cardiovascular function. Some people like to soak their nuts in water before eating them, since soaking mimics the natural germination process that occurs in nature, which helps neutralize anti-nutrients and activate certain enzymes. Seeds — Seeds often contain similar nutritional profiles to nuts, so it isn’t surprising that they’re also high in manganese. Pumpkin seeds seem to be the best source, containing 1.3 milligrams of the mineral (64 percent of the RDI) per 28 gram serving. Chia seeds, sesame seeds, flaxseeds and sunflower seeds are also excellent sources, with one 28 gram serving of each providing us with at least 30 percent of our RDI of manganese. Seeds also tend to be rich in zinc, magnesium and beneficial plant compounds called phytosterols,. Like nuts, seeds (especially chia seeds) benefit from being soaked in water before consumption. Beans — Beans are one of the longest-cultivated crops and have been an important source of protein throughout the Old and New World. They are also consistently high in manganese. Half of a cup (85 grams) of lima beans and winged beans, for example, contain just over half of our RDI. Chickpeas, adzuki beans and white beans are packed with manganese as well. Other excellent sources of manganese include leafy green vegetables such as spinach and kale, most dried herbs and spices (especially cloves), rice bran, garlic, blackstrap molasses and sun-dried tomatoes. Most whole foods contain small amounts of manganese, however, which is why people who eat a diet rich in organic whole foods are rarely deficient in it. (NaturalNews) The average American eats about 20 pounds of pasta per year. One pound of cooked, plain pasta has about 600 calories; that’s 12,000 calories in 20 pounds. While we have no regrets while eating those delicious carbs, it would take about 12 hours of running at 9 mph to get rid of those calories, and that is just if you eat plain pasta. Pasta that includes heavy sauces and cheese such as alfredo sauce really add-on the calories; that’s when the regret sets in. Eating large amounts of pasta not only leads to weight gain but also can lead to sluggish digestion, and constipation. If you’re not ready to give up pasta just yet, try these three alternatives every now and then to curb your carb and calorie intake. These noodles are made from the konjac plant, also known as Japanese yam. Due to their high fiber content, shirataki noodles contain 0 calories. Some shirataki noodles are made, in part, with tofu and do contain a small amount of calories, but it’s still far less than traditional pasta. For example, 2 ounces of angel hair pasta contains 200 calories, whereas a 4 ounce serving of tofu shirataki spaghetti contains 10 calories. Shirataki noodles are flavorless and come in many shapes including, angel, penne and fettuccine. Unlike traditional wheat pasta, shirataki noodles come packed in liquid. There’s no need to cook them; you just rinse them and toss them into your dish. These noodles are also a great option for people with gluten allergies, since they are gluten-free. Their high-fiber content also comes with more than 16 amino acids and various vitamins and minerals, making shirataki noodles great for weight loss, decreasing cholesterol, gastrointestinal regulation and controlling diabetes. If you’re not yet familiar with spaghetti squash, you must try it this season. Spaghetti squash gets its name from its spaghetti-like insides once it’s been baked. It’s fantastic for weight loss, contains approximately 42 calories per cup and is a great substitute for spaghetti noodles. Its high water content, 92 percent, makes it low in calories. Spaghetti squash is also low in fat — it comes in at less than 0.5 grams of fat per cup. Another great benefit of spaghetti squash is its high fiber content. Eating a diet high in fiber can help with weight loss, lower cholesterol, reduce constipation and regulate digestion. If those aren’t enough reasons to enjoyed a nice bowl of spaghetti squash, you may also want to consider that it’s loaded with vitamins and contains every essential mineral. This winter squash is equally delicious paired with spaghetti and meatballs or just with a bit of olive oil, salt and pepper. You’ve probably already tried zucchini as part of other dishes. Although zucchini usual takes a minor role in most meals, you should strongly consider making it the star ingredient in your next meal. Zucchini can be made into pasta using a spiral slicer, which is an inexpensive kitchen tool that slices zucchini into perfectly shaped noodles. These noodles come in at approximately 19 calories per cup, making them an excellent replacement for traditional pasta. Additionally, zucchini is high in potassium, which can help control blood pressure and lower your risk of heart disease and stroke. Zucchini pasta can also be enjoyed with spaghetti sauce and meatballs or lightly sautéed with olive oil and some dried herbs. Ten reasons why you shouldn’t vaccinate your children. 1) Vaccines don’t work. When printed on a poster or repeated ad nauseam by the Centers for Disease Control and Prevention (CDC), the embedded claim that vaccines prevent communicable disease and impart lasting immunity might sound nice to the low-information masses. But the science simply doesn’t reinforce it, with outbreak after outbreak proving that vaccinated people are the most immuno-compromised, and are always the ones contracting the diseases against which they were vaccinated. 5) All vaccines contain deadly chemical additives. The average pediatrician would be hard-pressed to provide package inserts outlining vaccine ingredients to their clients prior to pushing vaccines. But parents need to know that all vaccines contain deadly, neurodamaging chemicals like aluminum, mercury and formaldehyde. Many vaccines are also loaded withmonosodium glutamate (MSG), antibiotics and even genetically modified organisms (GMOs). Top five emergency first aid items you probably didn’t even realize were medicine. (NaturalNews) When it comes to emergency medicine for preppers, everybody is already aware of the extraordinary usefulness of things like nano silver, fish antibiotics and off-the-shelf antiseptics such as povidone iodine. Here, I’ve decided to reveal five little-known emergency medicine items you probably never thought about acquiring for your preps. These are all lifesaving items that most people may not even realize are medicine in the first place. 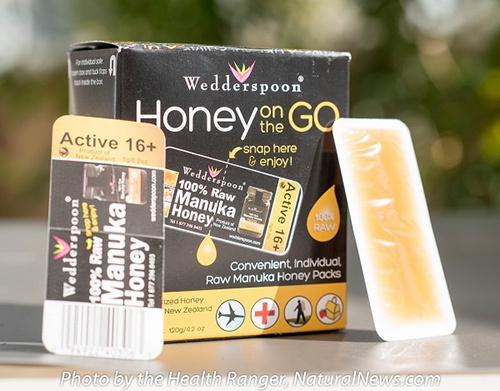 Manuka honey is Mother Nature’s perfect wound dressing. Produced by honey bees that feast on the flowers of melaleuca bushes, Manuka honey has remarkable antiseptic properties that even the FDA recognizes as medicine. Unlike other emergency medicines, you can actually EAT this medicine, too. Manuka honey is its own delicious source of calories and valuable internal medicine that helps boost immune function and fight bad bacteria in your gut. Because it’s both food and medicine, it’s astonishingly valuable as a barter item. The best part of all is that honey stores practically forever — literally for thousands of years. There is no “shelf life” concern for honey in a human lifetime. So every dollar you invest in Manuka honey preps today is a dollar that will maintain its value for generations… even centuries. Activated charcoal is an adsorbent material. This means its properties include a unique physical structure that attracts and binds with many poisons, pesticides and toxic heavy metals. 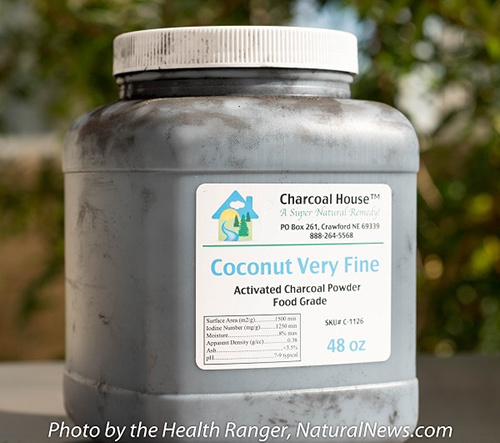 In fact, activated charcoal is one of the key components in most off-the-shelf water filters because of its ability to bind with a surprising array of toxins. That’s also why activated charcoal is used in fish aquarium filtration systems. Fish are extremely susceptible to circulating poisons and chemicals. The activated charcoal adsorbs these chemicals (not ABsorb, but ADsorb, which is different), removing them from the water and keeping the fish alive. Veterinary supplies are a fantastic source for emergency medicine, and one of the medicines few people know about is called “hemostatic powdered medicine.” It stops bleeding FAST. 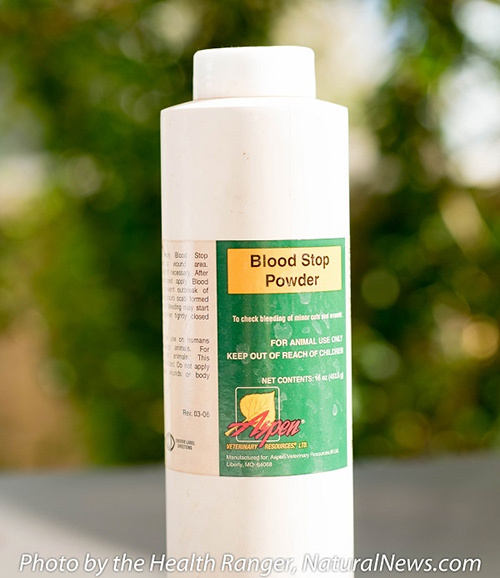 From the world of conventional veterinary medicine, the product you want is called “Blood Stop Powder.” It’s made from a combination of iron sulfate, ammonia, aluminum and tannic acid. When it meets blood, it rapidly forms a solid mass (an instant scab). Farmers and ranchers use this all the time to stop severe bleeding from animals such as when cows experience a difficult birth and tear part of the birth canal in the process. The product label carries a warning that it’s “Not for use on humans,” but in a life-or-death emergency, I doubt you’ll care what the label says. The product works just fine on any mammal with blood, and unless you’ve already been turned into a zombie, that probably includes you. A nearly identical product has existed for literally thousands of years in the world of Traditional Chinese Medicine. It’s called “Yunnan Baiyao,” and it also stops bleeding almost instantly. The ingredients remain a family secret, but it is believed to be made primarily from natural TCM herbs and plants. Both of these products are available off-the-shelf right now, without a prescription. Search for “Yunnan Baiyao” on Amazon.com and you’ll see that you can even buy this online. Both of these hemostatic powders may become invaluable in a collapse scenario when medical supplies are very difficult to come by, so I encourage everyone to consider adding this to their medicine chest right now while there’s still time. 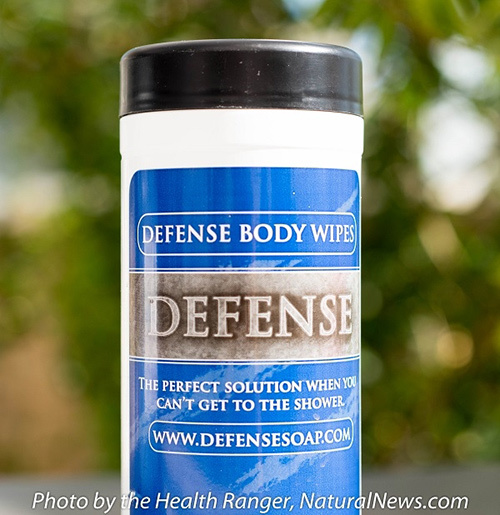 There’s a fascinating new product from a company called DefenseSoap.com that uses the power of natural essential oils to combat almost every pathogen you might imagine (on surfaces, not for internal use). The product is called “Defense Body Wipes” and they currently cater to professional fighters, wrestlers and athletes who want to sanitize surfaces so they don’t subject their bodies to all the strange viruses, bacteria and fungi that contaminate gymnasiums. But what’s really cool about this product is that it is made with just two powerful essential oils: Tea Tree Oil and Eucalyptus Oil, both of which offer astonishing properties on their own. If you have these oils, you can make your own wipes, or you can simply purchase pre-made products like Defense Body Wipes which deliver the benefits of these oils in a convenient package with the added benefit of NO artificial fragrance chemicals. I grow aloe vera as a source of food and medicine. You can eat the gel (not the skin or the brownish sap, but the clear gel only) or blend it into smoothies. The gel is much like Manuka honey in its antibacterial and wound healing properties. It can be rubbed directly onto burns or wounds to function as a self-sealing natural bandage that also kills bacteria and traps aerosolized particles that may carry pathogens. 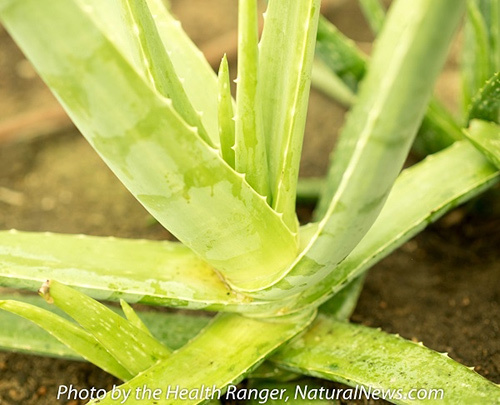 In an emergency, aloe vera can even be packed into flesh wounds as a temporary fix until the victim can reach medical personnel for acute treatment. A flesh gunshot wound — but not a deep internal gunshot wound — could be temporarily dealt with quite effectively with some Blood Stop Powder, followed by aloe vera gel or Manuka honey, then bandaged until the person can be transported to a doctor or surgeon. Obviously, a tourniquet should be used if needed. Blood Stop Powder alone won’t seal off a gusher. It is claimed that this formula cures over 100 illnesses and halts tumor growth, although I personally couldn’t back up this claim without knowing a lot more about it. What I can tell you is that is tastes awful, because I made some myself just to try it. The important thing is that you can make this yourself, if you dare, from aloe, honey and alcohol. All three ingredients should be part of your emergency first aid medicine chest anyway. Aloe vera leaves are self-sealing when cut from the plant, and they can be carried as a form of portable emergency first aid. Aloe is incredibly easy to grow and will self-reproduce by growing baby aloe plants around the established larger plant. Dig up these baby aloe plants and transplant them into soils with good drainage to multiply your aloe garden. One of the principles I’ve learned as a holistic medicine and plant science researcher (http://labs.naturalnews.com) is that there’s far more medicine around you than you might think. In fact, if you take a walk in nature, almost everything is a form of medicine: tree bark, soil microbes, plant leaves, sunshine, rock minerals, water, and so on. Only a fool believes that medicine comes exclusively from pharmacies, drug companies and doctors. The vast majority of the world’s population doesn’t use western pharmaceutical medicine. Instead, they rely on plant-based medicines to achieve far superior states of health (without the health care costs of the un-Affordable Care Act). Yes, western medicine has an important role to play in all this, and my own survival preps include pharmaceutical antibiotics and chemical sterilizing agents. Anesthesia medicines and topical painkillers are also real lifesavers in a crisis. But anyone who believes that honey and aloe vera isn’t also a form of medicine is flatly uninformed (or brainwashed by pharma propaganda). In a collapse crisis, one of the first things that will disappear is prescription medicines. Pharmacies will be among the first targets to be looted, as you already know. Pharma medicines would then only be available on the black market at sky-high prices. You don’t want to land yourself in a situation where you have to trade ammo for antiseptics… especially when you can grow aloe vera for free and produce your own antiseptics using soil, sunshine and rainwater. Finally, remember that in a SHTF scenario, people will die from lack of knowledge about natural medicines. Some will die from infections, desperately waiting for prescription antibiotics even when plant-based medicines are readily available in their own back yards (literally, in the form of medicinal weeds). Others will die from injuries that got infected because they didn’t know to treat those wounds with Manuka honey, aloe vera or colloidal silver. People who bet their lives on the western medical complex may very well lose that bet when things hit the fan. Make sure you don’t become one of those people by stocking up on natural medicines and learning how to grow your own. That knowledge can literally mean the difference between living and dying. Recommended: Learn more about emergency medicine from Dr. Bones and Nurse Amy at DoomAndBloom.net.